A modern and well presented two double bedroom, third floor apartment (with lift) in the centre of Epsom. 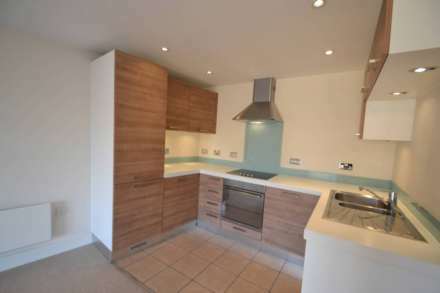 The property offers an open plan living room/fitted kitchen with integral appliances. Shower room. Good size Master bedroom with a built in wardrobe and ensuite bathroom/WC with shower attachment to the bath. Further double bedroom. One allocated parking space. Unfurnished and available 13th April 2019.